From the Pierino range of modern LED lighting products. 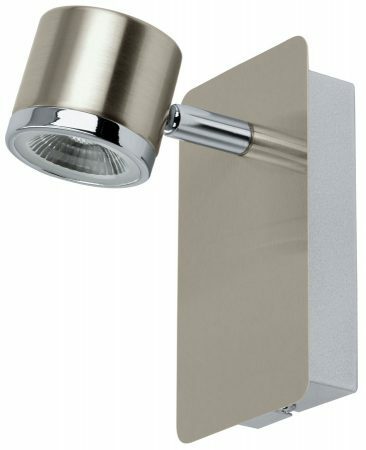 A modern satin nickel finish wall mounted spotlight, with a chrome and satin nickel multi-directional canister spot-head containing energy saving LED lighting. This contemporary wall spotlight is a great choice for today’s modern home where directional bright lighting is all important. Supplied with a single 5 watt, warm white, replaceable, energy efficient LED module that has an average working life span of 25,000 hours.